New Delhi, Dec 1: The Tatas had formally shown an interest in Air India's stake sale, Union Minister of State for Civil Aviation Jayant Sinha said today. 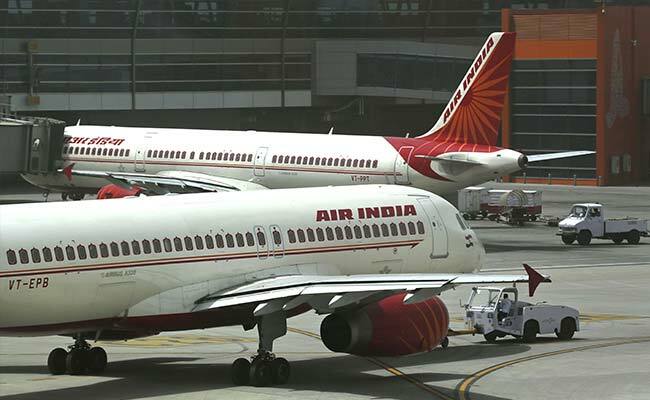 The government has given its nod for the disinvestment of Air India, which has a debt of over Rs 50,000 crore and is staying afloat on taxpayers' money. "We have, of course, received from both IndiGo as well as the Tatas indications of interest for the airline (Air India), and then, we have received formal indications of interest for the other aspects of the Air India group. These are the formal indications we have received so far," Sinha told television channel CNBC TV18. He said the government was working in a time-bound manner to conclude the bidding process and that the process of receiving the expressions of interest as well as bids should take six to eight months. Market leader IndiGo had earlier written to the Ministry of Civil Aviation, expressing its interest to buy out Air India's flight operations, particularly its international services. Ground services providers such as the Bird Group and Turkish company Celebi have also shown interest in acquiring the ground handling arm of the Air India -- the Air India Air Transport Services Limited (AIATSL). Sinha also said the government had appointed legal, transactional and asset valuer advisors for the purpose. On June 28, the Cabinet Committee on Economic Affairs (CCEA) had given its agreement in-principle for the strategic disinvestment of Air India and five of its subsidiaries. Subsequently, an Air India-specific alternative mechanism was set up to guide the process. The ministerial group is looking into the treatment of Air India's unsustainable debt, hiving off of certain assets to a shell company, demerger and strategic disinvestment of three profit-making subsidiaries, among other aspects.